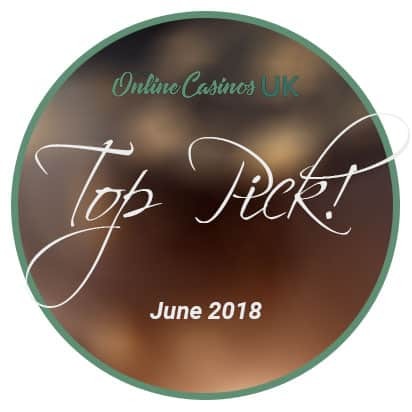 Split Aces Casino UK | Read Review & Claim Your 2018 Bonus Today! The first thing you should know about Split Aces Casino is their management. This has become very important lately since a peek into the quality of the management team gives you heads up on what to expect. This is much easier for top-level game managers as you probably might have had one or two experiences with other platforms in their collection. Split Aces Casino is managed by a mid-level Alpha Interactive Solution. Mid-level because they only have a few casinos under their management. If you enjoyed the cosmic appearance of Cozyno or the magical look of Magik slots and other platforms like 14 Red, 6Black, Casino Napoli, Gale & Martin, Slots Zoo, then you will surely love Split Aces Casino. Just like the others, Split Aces Casino offers you more than enough to start. Their bonus is enormous, and their game collection is massive, and their support is all always available. Split Aces Casino brings the action to you on your mobile devices. This could be your tablets of android phones or IOS phones or Ipad. Whichever it is, Split Aces Casino offers you the same access as PC users. To your advantage, you can play on the bus or while you are on that long trip on a train. Players have access to some payment options. However, there is a specific payment option strictly for mobile devices. Players also have access to round the clock support, security, and privacy. If you are a fan of Mr Slotty, then you can also enjoy games like Gold Miners, Unicorn Gems, Golden 7 Fruits, After Party etc. Split Aces Casino employs the services of the best slot manufacturers like Booongo, SA Gaming, NetEnt, Fugaso, Felix Gaming and many more. There is nothing more than an extra push. At some point in our lives, we all need that extra push to get us off the ground. This brand offers a befitting welcome bonus as much as $1000 and 20 extra spins. This is a previous offer. However, there are lots of other bonuses and promotions from time to time. Players get to enjoy an additional 15% bonus on selected payment option. The casino also offers a free spin bonus to players. In all, there is a wagering requirement that must be met before cashout can be approved. The general wagering requirement is 20 times the deposit and bonus amount. However, this could vary depending on your location as well as on the promotion. Split Aces Casino is a zoo of slot games. Just like the zoo, they’ve got video slots not only in their numbers but different varieties. Players can enjoy 3-reel video slots or the more prominent 5-reel video slots. There are also some progressive slots as well. Split Aces Casino offers players the best video slots from NextGen like Legacy of Egypt, Cops ‘N’ Robbers, Claws vs Paws, Agent X Mission, Slot of Money etc. This operator is not just about slots alone. Yes, they’ve got more than 300 slot games, but there is more than just slot. If you love to have a real taste casino fun, you can take a trip to the live casino section. Split Aces Casino has more than 60 games in the live section just enough to keep you on your feet. The casino has different variants of Roulette, Baccarat, and Blackjack. If poker is your thing, then you will surely enjoy games like Neon Roulette, Zero Spin Roulette, American Roulette, Salon Prive Roulette and more. Are you looking for Slots casinos in particular? Find all of the new slots casinos here. Split Aces Casino has adequate ways for you to make deposits as well as withdrawal. They have many credit card companies that are accepted across the globe. These include the likes of VISA and MasterCard (credit and debit). If you don’t like the card option, no worries at all. Split Aces Casino has lots of electronic payment options like Skrill, Paysafe Card and Neteller. There are also payment options for players from some specific geographical locations. Split Aces Casino also accepts payment and deposit using bitcoin. In addition to having ample payment methods, they also ensure fast payouts. This takes between 3 to 5 working days. Just like emergency services, timing is critical. If you are having technical issues, support is just a click away. The live chat option is literally for very serious queries. Usually, this is for registered players. Guests and players likewise who have can freely read the FAQ section to gather information about Split Aces. If the FAQ doesn’t provide you with the answers that you need, then you can send an email or fill the form on the website. The team is available anytime whether during working hours or weekends. Split Aces Casino is reliable, safe and fair in all their dealings with players. The platform provides all forms of security including financial and legal protection. All the payment options are safe and secure. Split Aces Casino cares about their players. They want you to have fun with their variety of games. However, while you are trying to have fun, you could get carried away. If you feel you are becoming addicted, Split Aces Casino has some measures put in place to help you handle the situation. In addition to self-exclusion and setting deposit limits for yourself, you can also get help. Players are free to visit some of the professionals on the website. They include GamCare, Global Gambling Guidance Group, Gambling Therapy etc. A casino is a place of fun. So far, a general overview of Split Aces has been described. The platform has all the components of a top-tier casino. They have several hundred games including a slot, live games, table games, video poker and lots more. The games are compatible with mobile devices of various OS like Android, IOS, and windows. Split Aces Casino did not take any chances in selecting their payment options. Players have so many options to choose from irrespective of their location. In all, the platform is safe, secure and fair in all their dealings with players. Thanks to their license from the government of Curacao.